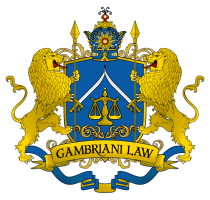 Gambriani Law provides comprehensive legal advice and passionate advocacy for every type of criminal offence in the Ontario courts. It is of paramount importance to deliver strategic and practical plans to clients that make sense from all legal aspects. The firm offers representation to clients from the earliest stages of the criminal process through to trial, with an emphasis on professionalism, client services and advocacy. It is guaranteed that every engagement with a client receives full focus and support and at Gambriani Law, ;awyer Sourena Sarbazevatan will work with you to carefully listen to any concerns you might have. Sourena is committed to securing the best legal outcomes for individuals who require the skill and dedication from an experienced lawyer. The firm and its practices are also recognized for its excellence in the practice of law. Work is done respectfully and collaboratively with fellow clients and it is known that the firm’s future vitality depends on its mutual success with them. Located in Toronto, Ontario, Gambriani Law will defend you at any court across Ontario from white-collar crimes to murder. The firm cares about the top priority, and that is you and your case. Gambriani Law will leave no stone unturned. The client will always be put first. This is why it is believed such a great deal of success has been received, because of the firm’s strong dedication to the client’s case and the commitment to providing excellent results. No matter the legal environment, adaption is made quickly and the focus is continuing to build an efficient and prevailing law firm that consistently serves each client’s best interests. As a client, whether it’s a minor offense or a complex courtroom battle, Gambriani Law is here to listen and take action. You can count on the undivided attention of a law firm that values your time over profits. Every client is approached with a clean slate and time is invested into understanding their needs and concerns before constructing customized solutions. Sourena Sarbazevatan prides himself on effective, passionate and knowledgeable representation. The reputation and history of success with our clients speaks for itself. The complex, important, and often life threatening criminal charges need dedicated and loyal advocacy. Sourena’s brilliant track record gives heart-warming confidence to his client. If you or someone you care about is looking for a criminal lawyer in Ontario, please call (+1 (647)970-3370 ) to speak with Gambriani Law today. If you’re facing a legal crisis and seeking the best advocate that will understand your needs, contact Gambriani Law. With 24/7 services, the firm will take the time to listen to your story and will work tirelessly to ensure you receive the best legal representation possible. Have a question? Call now to discuss the options available to you. Gambriani Law is here to help and protect your rights.